Thorough guidance from one of the twentieth-century’s most influential Theravadan masters. 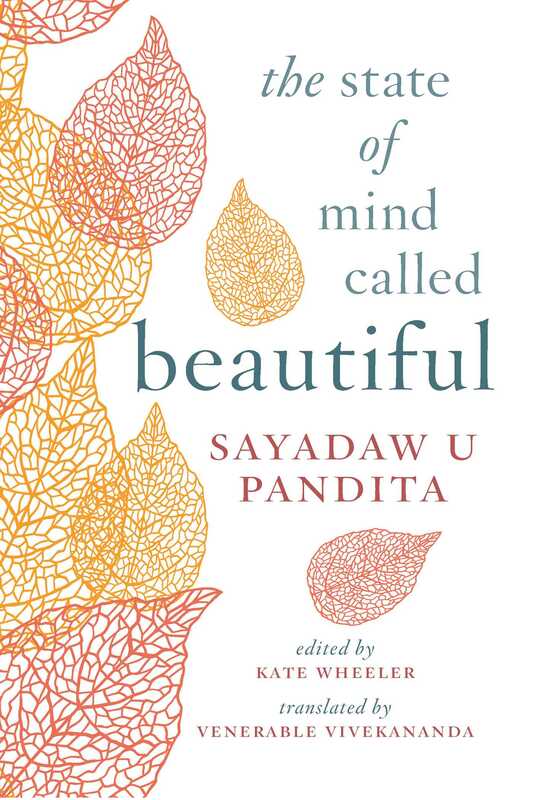 In The State of Mind Called Beautiful, meditation master Sayadaw U Pandita lays out the breadth, depth, and wealth of the Theravadan tradition of Buddhism. U Pandita begins with the basic guidelines of Buddhism and moves on to various practices: those that can be done for one minute a day, those that sweeten and strengthen the mind, those that heal societies and families, and those that lead to liberation. This book features complete teachings on vipassana or insight meditation, from how to do it; how to refine it; how to deal with difficulties; and how to develop mindfulness, wisdom, patience, and practice itself. A helpful question-and-answers section provides an invaluable resource for newcomers and established practitioners alike. Lastly, both Pali-to-English and English-to-Pali glossaries are included, ensuring that readers easily master the meanings of important terms. This 2017 edition includes new forewords from Jake Davis and Andrew Scheffer.